Hey kids let take a show you enjoyed, remove all those silly complex parts, and make it full on trope stereotypical trash! That will be a great show right?................It wasn't this was trash, and the only redeeming quality was that each episode was only 3 and a half minutes long. Not even funny stupid. Billy Madison was better. This is the only intelligible rating and also condemnation of this spin off. If you are looking for a show to prove that anime companies sometimes hire an entire team of lobotomized monkeys to make a series, this show might might serve as a case in point. 1 star because I cannot give a lower rating. I would have awarded no points. May God have mercy on the souls of its makers. This short series is, so far, very bad with no apparent respect for the original series and no discernible direction. So far the only interesting thing is, at the halfway point, in an episode that tries to recap the original series and gets almost everything wrong, we're introduced to a character claiming to be the "Real" Captain Tylor who is designed after the original light novel design for Tylor. 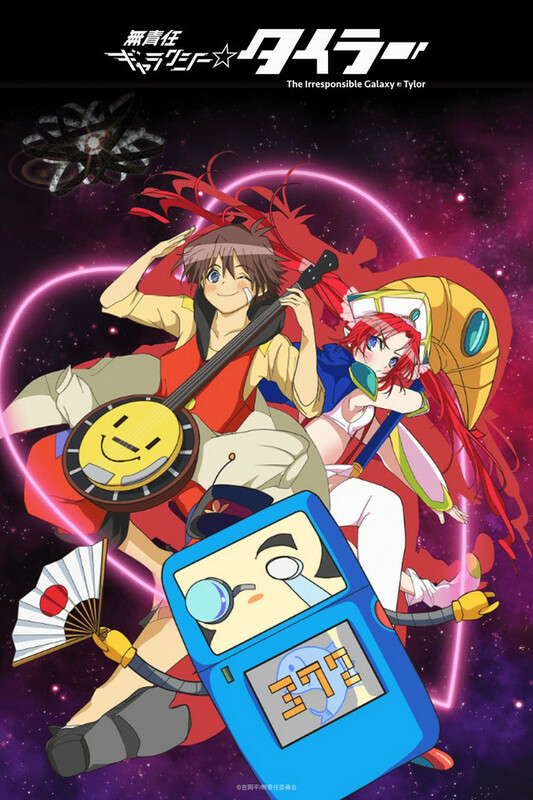 I probably found the original Irresponsible Captain Tylor a bit later than most, but it is by far my favorite space-opera style anime, and may even hold the title of my favorite anime. This load of garbage though? It's god-awful on its own merits and a slap to the face for anyone who fell in love with the original source material. When I saw it show up in the list of anime on this site, I was floored, excited beyond belief. More of Tylor? More of that wonderful, idiotic, lucky genius? I had extremely high hopes. And got to watch them shattered completely in just over three minutes. It feels like this was made for toddlers, but I wouldn't disrespect even a three year old by letting them watch this. If you are looking for a worthwhile follow up to the original Captain Tylor, look somewhere else. All you'll find here are a universe and characters connected to the original in name only packaged into a series of 3 minute long gag reels. The sad part is that the show actually has a workable premise, but the chosen format gives it absolutely no chance of being properly explored and fleshed out. Loved the original Captain Tylor and was so looking forward to its revival. This is just a hot mess using the Tylor name to cash in. Seriously, it's that bad. And it's only three minutes long. If only I could give it negative Stars... which would be Black Holes, wouldn't it? Five Black Hole rating! Well, let's go over the things I like first. I appreciate the little shoutouts to the previous series. Like Tylor's banjo having a smiley face, Yamamoto still being a companion, and Azalyn is always a plus. It does show a lot of promise. The series is, after all, supposed to be a spiritual successor to Captain Tylor, which was famed for its brilliant writing and compelling characters. So, I'm hoping that it will get better over time. The animation is really nice. I could gripe about it being too moe compared to the mature animation of the original, but it's a spin off so I can forgive that. This didn't need to be made. No, seriously. The major problem I have with this series is that it's a slap in the face to Tylor fans. The OVA series left us with a cliffhanger that went unresolved for 20 years, and the Light Novels were never translated. We never got a proper ending to the original series. Ignoring that fact completely and giving us a spin off just makes no sense whatsoever(Unless it's supposed to be a precognition that a true sequel is on the way, but I doubt it). So, it's really insulting to make a spin off without even wrapping up the original series. It's too fast paced. A lot of the time the show is moving around without giving any real sense of direction. This is a popular theme in these types of anime, but it's still lackluster. Take Star Patrol Luluco, another anime that jumps around a lot. In Luluco the jumping around is still clean, precise, and you can get a sense of what's going on with the characters and story. In this anime, it's a lot easier to get lost and the story doesn't make nearly as much sense. It's also way too short. See above. All in all, though... It's not bad as a spin-off. We're all angry because Captain Tylor never got the finale the series deserved, but I'm willing to put that aside to see where this spin off takes us. I'm gonna continue watching in hopes that the series will eventually prove to be a good spin off. After all, it's still really early to make that call. And, hopefully, this will lead to Captain Tylor getting the sequel it deserves and a proper ending to the original series. I watched the original, it was epic, stupid and funny. This show on the other hand is just trying to ride on its coat tails. The story is so loosely based that it may as well be an anime that is unrelated and just uses the names of some items from the original. It has short three minutes episodes that don't really advance the plot. It just kind of pulls out random scenes and tries to call it story telling. It is trying to be something like the original Irresponsible Captain Tylor and Gintama, but fails where both of them were vastly successful. If you watched orginal you can kind of catch what is going on, but... it is not worth it as this show is probably the worst anime that I have seen in years. Lets take one of the greatest shows ever and destroy it. Do yourself a favor and go back and re-watch the original series. Avoid this at all costs. It takes everything good, everything that made the original great and tosses it in to the trash. 1 star, and that is being generous. When you think you are getting chocolate and you get poop instead. Irresponsible Captain Tylor was one of my favorite animes of all times. It holds a special place in my heart. My spouse and I were very excited to see this, thinking it would be a continuation of the novels with his daughter. What I saw instead was just pure trash. This is by far the most disappointing thing we have seen in a while. Thanks for tarnishing a great anime.